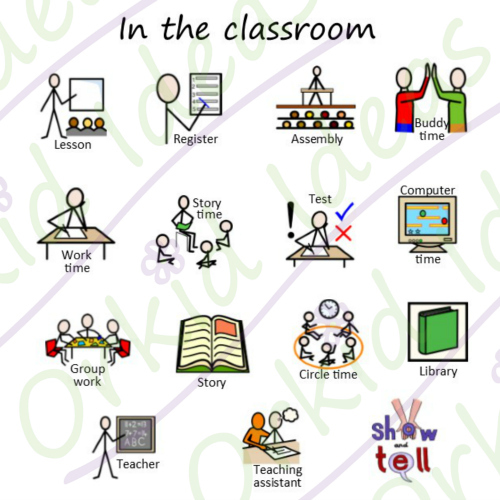 A visual timetable of the day ahead is a great way to help a child who needs to know what to expect and what order things will happen. 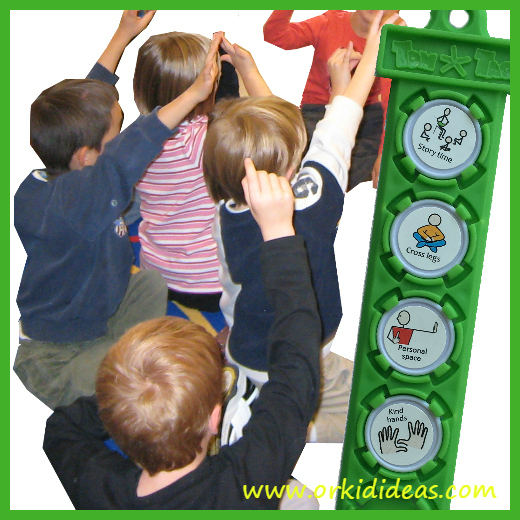 Predicatability reduces anxieties and helps them to concentrate better on their work. 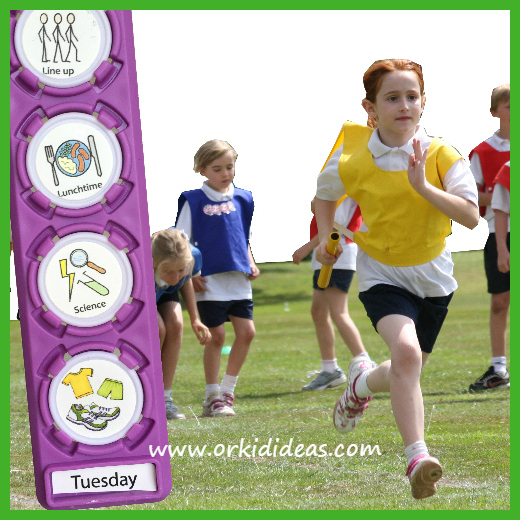 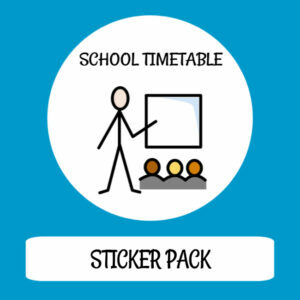 When there’s a change to the normal routine (for example, off-timetable events such as sports days, concerts, school trips) it’s easy to add to or replace the symbols in a TomTag schedule. 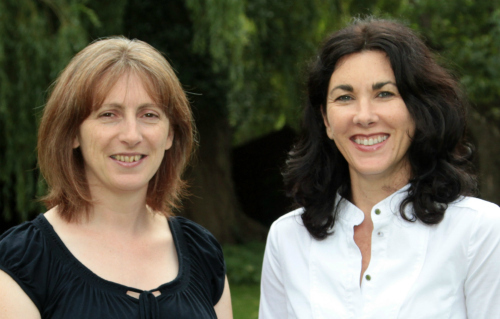 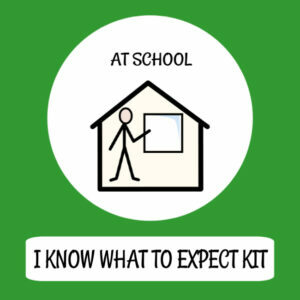 Children can often get stressed or upset and display negative behaviour when they’re expected to transition between activities without any warning or preparation. 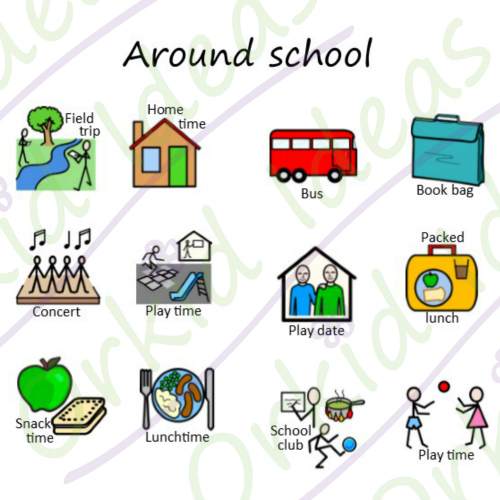 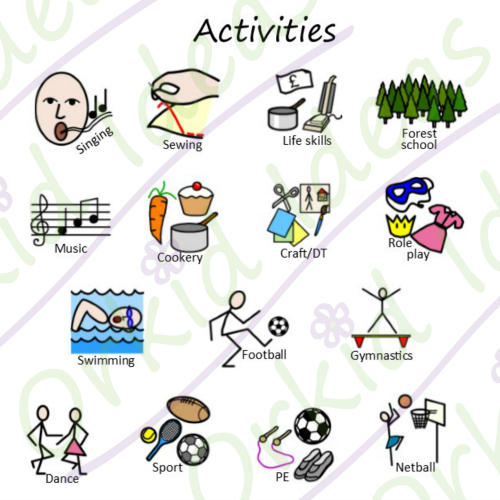 Clear visual prompts that show events and activities in the order they will happen help children to anticipate the changes and transition better. 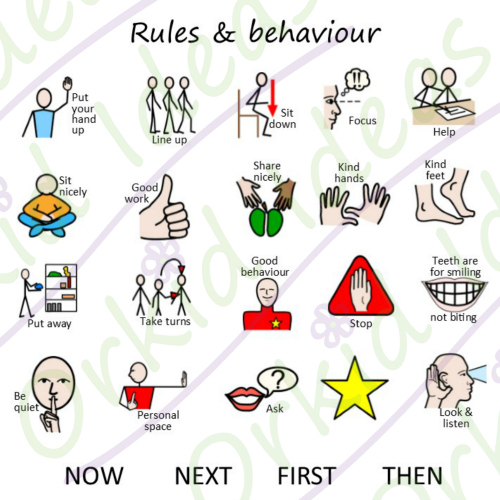 Verbal instructions can be difficult to recall but a visual reminder provides consistent and easily accessible instruction which encourages independence and personal responsibility. 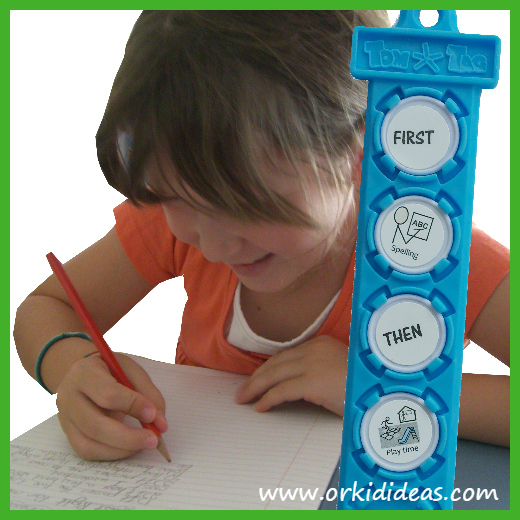 FIRST-THEN prompts are a good starting point for teaching sequencing and encouraging task completion, particularly for less-preferred activities e.g. 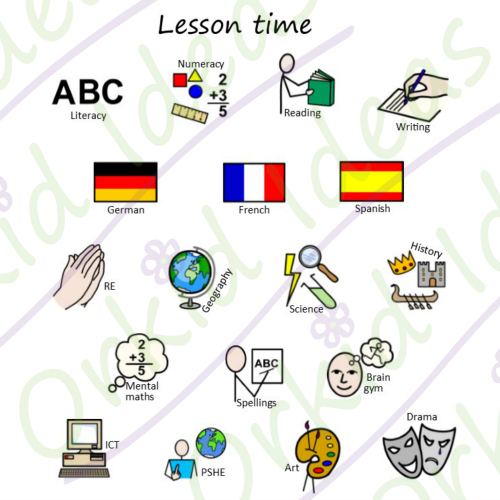 FIRST spellings, THEN playtime. 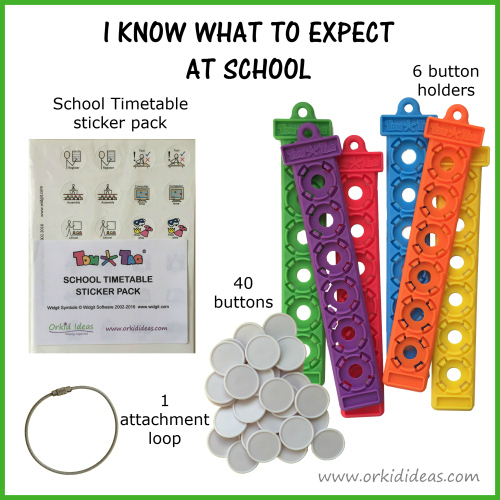 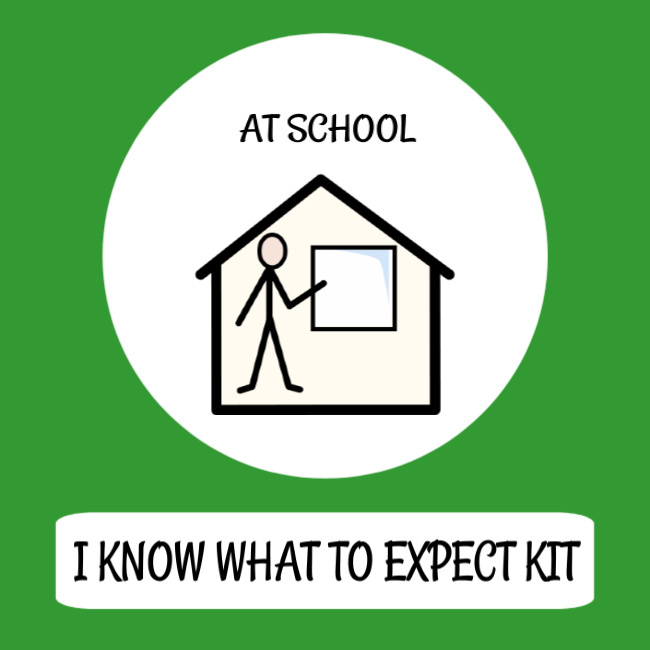 This kit also includes behaviour-related symbols which can be useful in promoting appropriate personal behaviour and teaching social rules in the classroom. 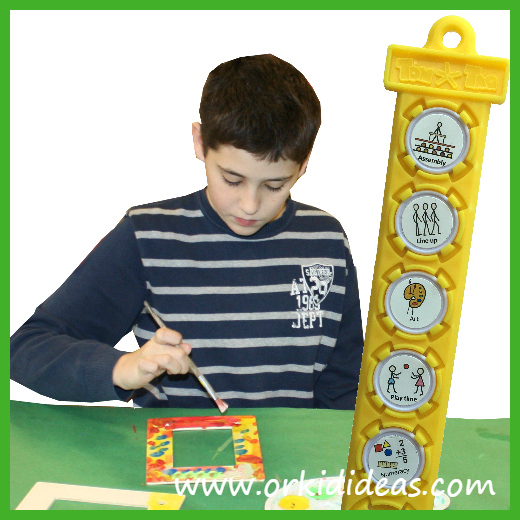 TomTag can also be used as a reward tool.